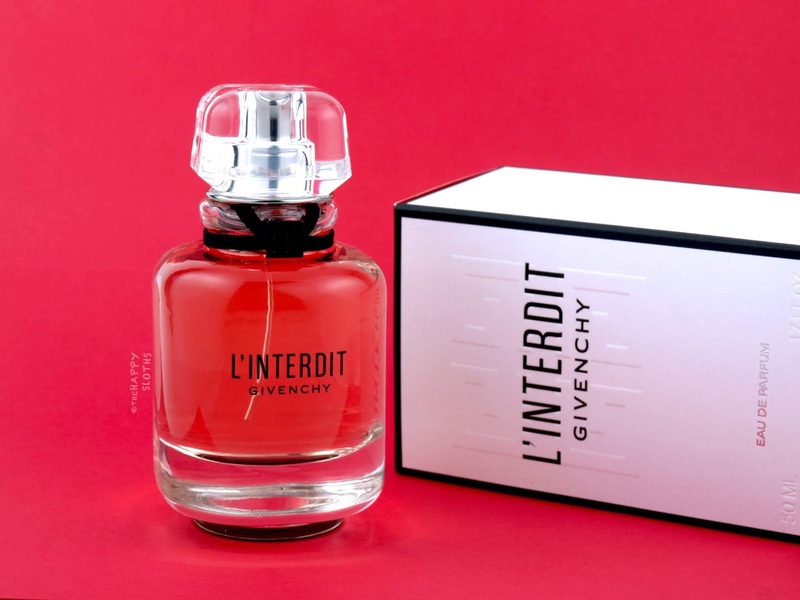 The Givenchy L'Interdit fragrance comes in a simple and elegant squarish glass bottle with soft round corners. The neck of the bottle is adorned with a grosgrain ribbon secured with a small black metal plaque etched with the iconic "4G" Givenchy logo. 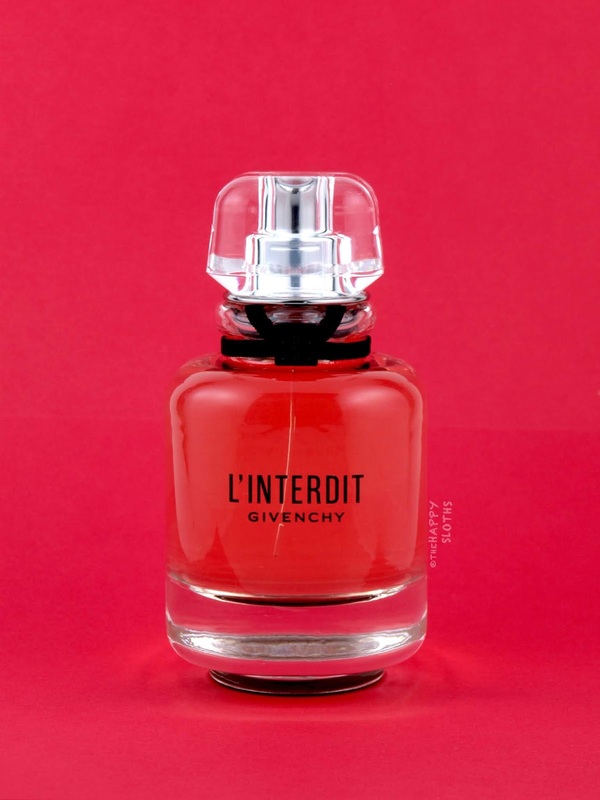 The perfume itself is tinted with a soft tea color. 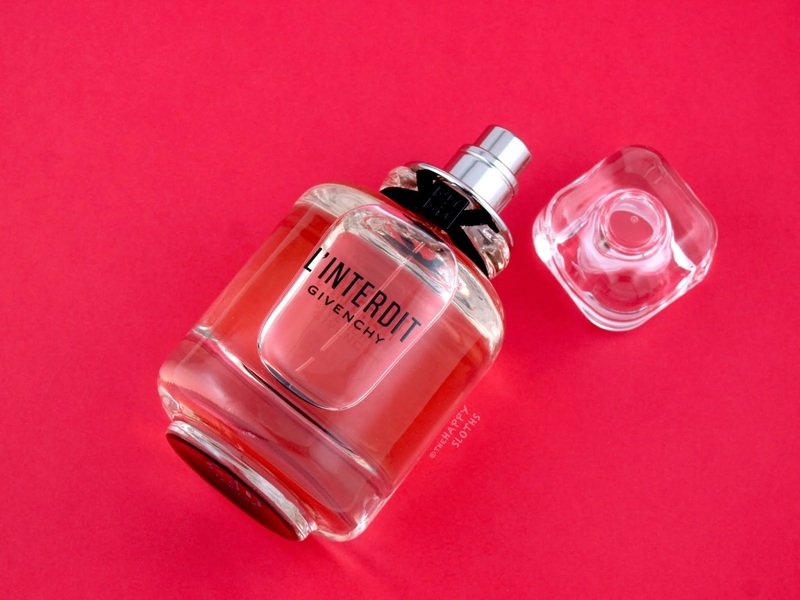 Opening on a whiff of sour cherry and juicy pear, L'Interdit is a light and feminine white floral highlighted by notes of tuberose and jasmine. The fragrance has decent sillage and wear but the base notes of patchouli and vetiver are pretty subtle. With the original 1957 L'Interdit created for Audrey Hepburn, it's not hard to see how even the 2018 version beautifully embodies the chicness and elegance of the iconic actress. I don't think the fragrance is anything super revolutionary or unique but for those that love a classic light floral, it is definitely worth trying.